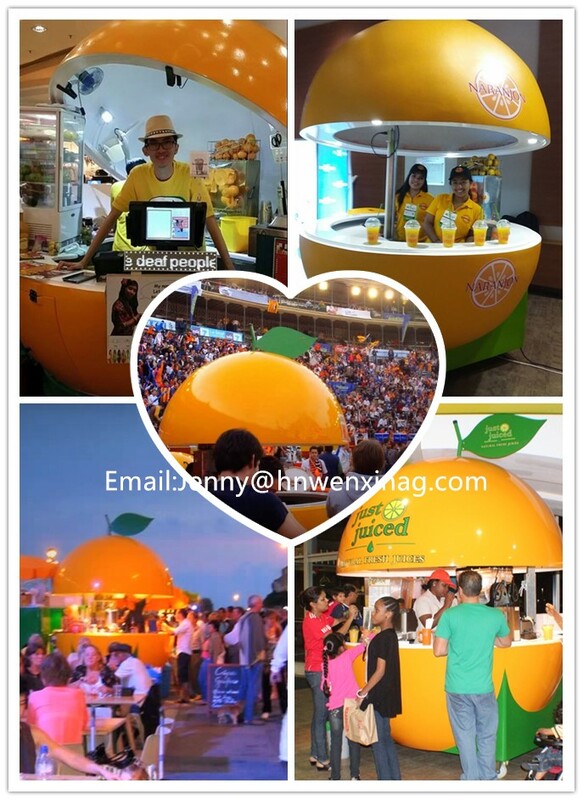 All the model of the products can be customized,the color and logo can be changes depend on your need. 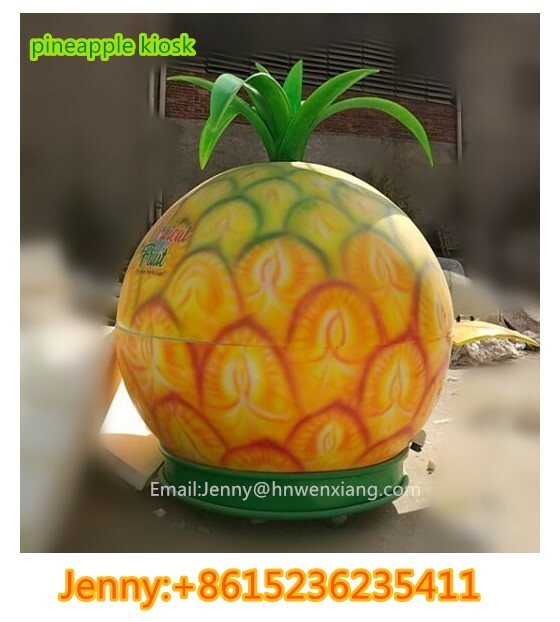 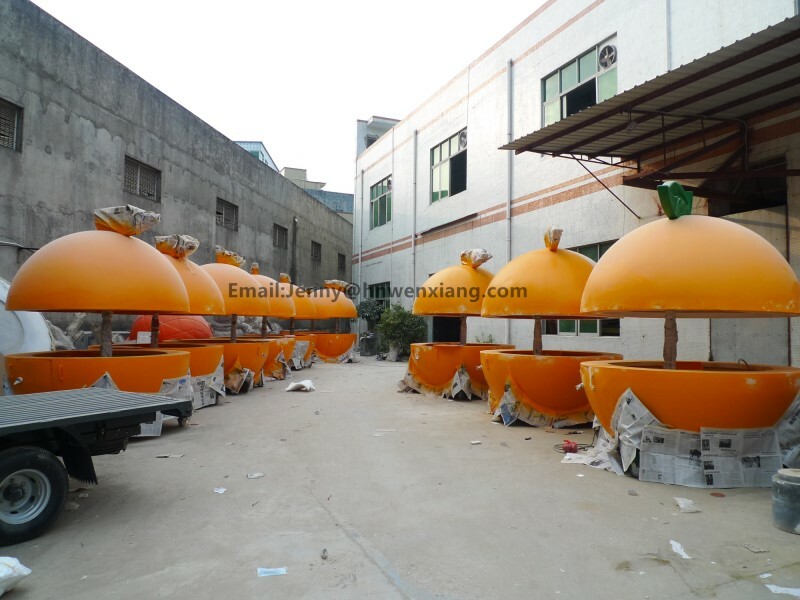 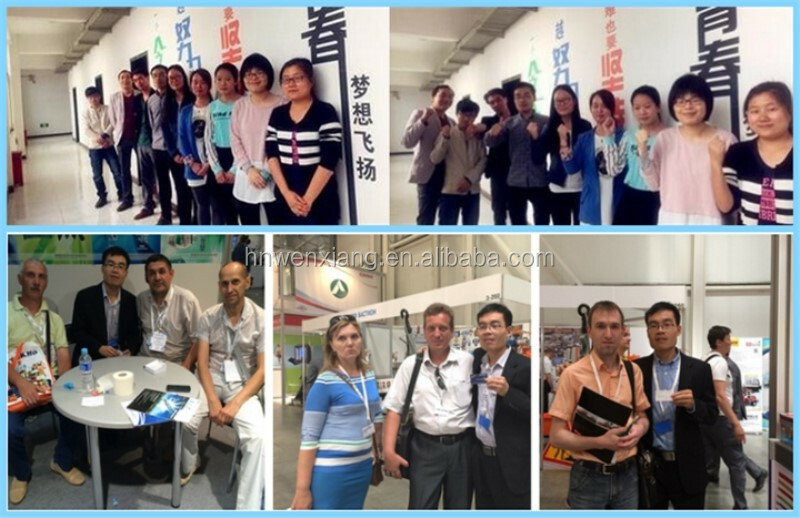 Production about 7-15days, according to your requirement. 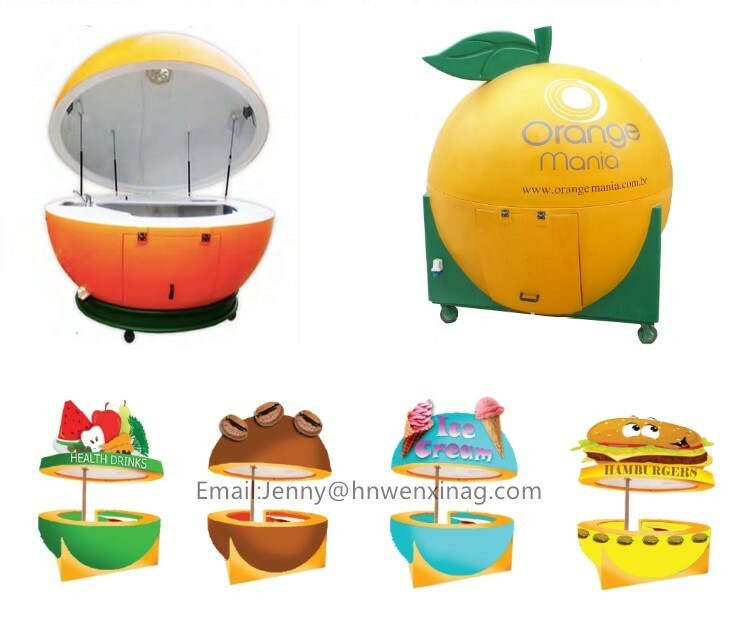 Good selection for developing juice bar or food bar business nearby beach, swimming pool, or stand street during hot seasons. 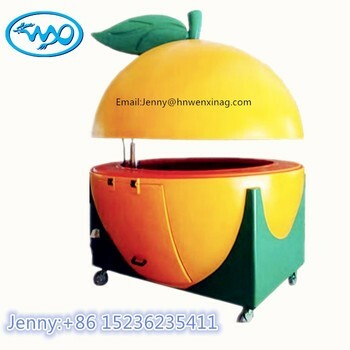 Q1: Do you have any certification of the fruit kiosk? 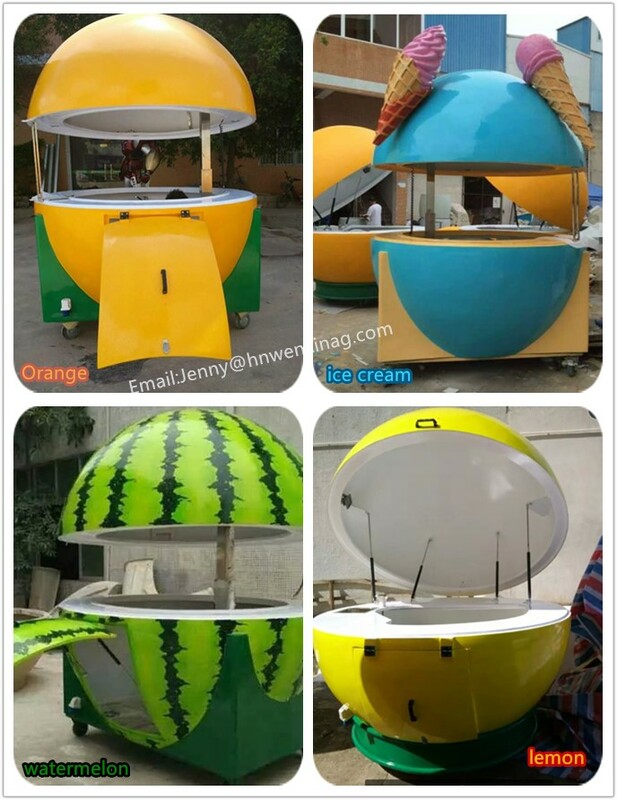 Q2: What's the size of the mobile food kiosk? 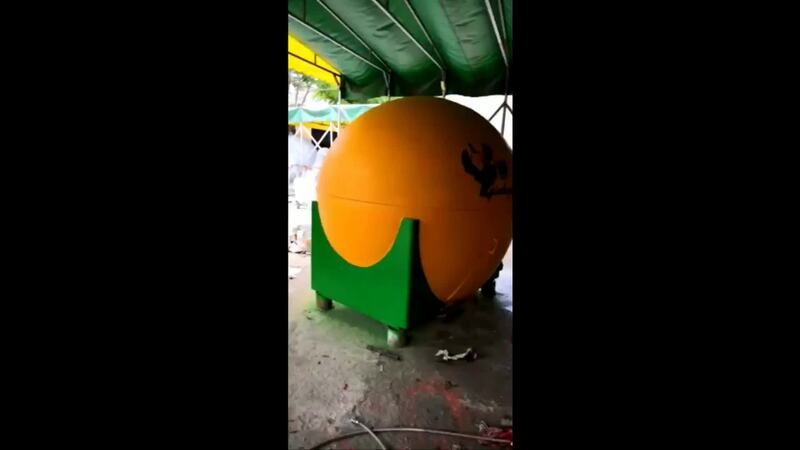 It's diameter is 2.1m, height about2.4m when open. 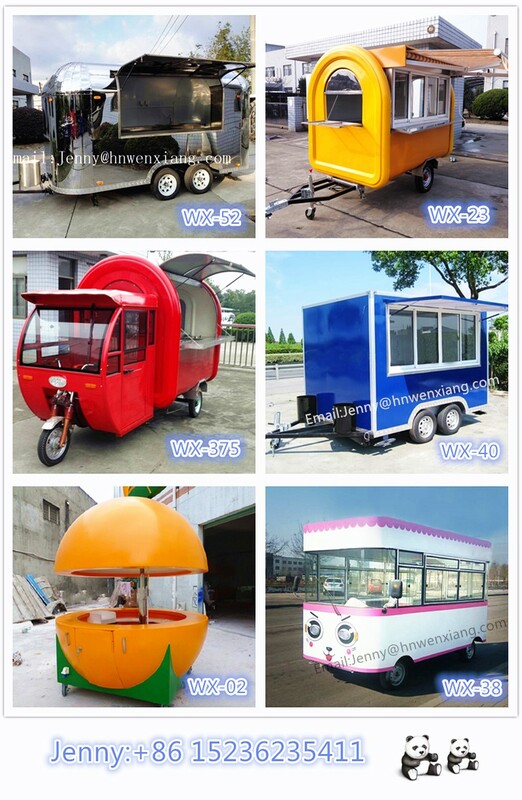 Q3: How long can i receive the mobile food carts? 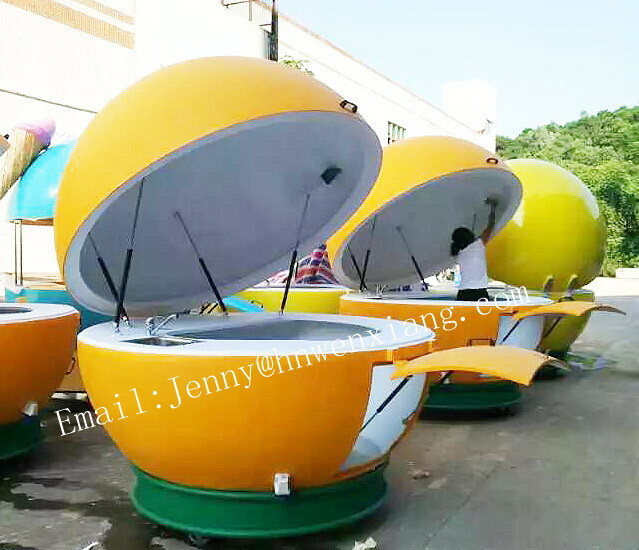 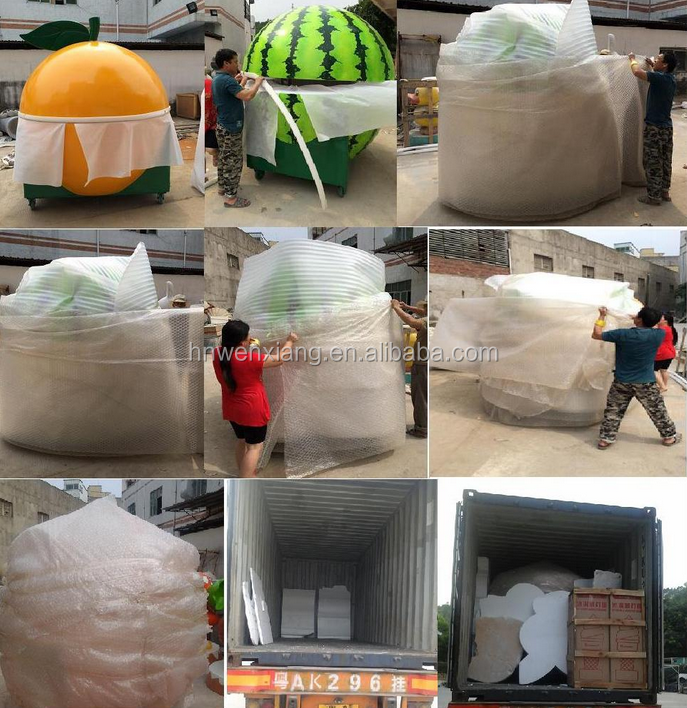 We produce the food trailer need 15-25days, if by sea about 20-35 days can arrive at your seaport.